We believe in the power of the Invisible Hand, the parable of the Broken Window, and more... Our goal is to spread Liberty and Freedom ideas widely around the world. BONUS: Each show comes with a spicy mix of custom selected music. 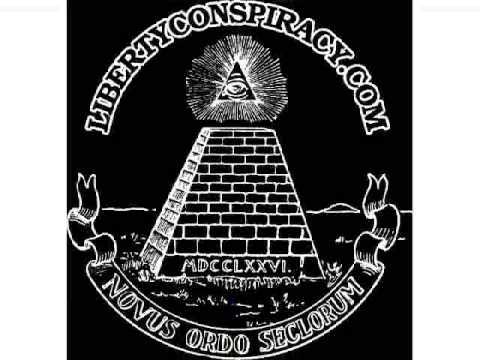 The Liberty Conspiracy is an ongoing effort to educate people through the popular media about the fundamentals of free markets and individual liberty. It is essential that we utilize our resources as productively as possible to create audio files, videos, articles, books, and public forums to generate exposure and attract more people to the message of freedom. This is not a game for us, though we like to make it fun for all. Gardner Goldsmith’s radio program “Against the Grain” is but one facet of this work, and in order to support the show and this growing organization, in order to create new items such as our upcoming “Briefing Papers”, videos, and educational pamphlets for children, we critically need your support and backing. We’re not only making it dynamic to join us and propel the message, to promote the principles of liberty, we are making it easy and fun, by creating levels of participation for you, the members of the Conspiracy. We recommend that you consider joining us at the next level, to become a member of the “Cabal”. Named after the original “CABAL”, an anagram from 17th Century Great Britain, derived from the names of five men who plotted the overthrow of the Crown, we use the term ironically, to reiterate that the concepts behind freedom and liberty are so out of fashion today that one almost feels as if he is a “plotter” just for trying to peacefully spread the word. Your inexpensive monthly support will be securely taken care of by Pay Pal, and the money you pledge will help the Conspiracy grow and prosper, creating new ways to educate our neighbors about freedom and individual liberty! As a CABAL member you will also receive special monthly perks, just for your support!